Many of the best literary works of science fiction, when they touch on entropy in complex systems, technologies and problems of existential significance, excel in how they render the human community of characters in genuine emotional and spiritual attributes. In the starkest environment, there is an overwhelming hunger, as portrayed literally and metaphorically. This was the classic essence of the Space: The Final Frontier trope, crystallized by Star Trek and appreciated for the last 50 years as a quintessential cultural artifact. Those themes from science fiction often translate with varying degrees of creative success in film, live theater and music but they often have not been inculcated as a premise for contemporary dance. But, dance, particularly in the current century, also has expanded rapidly in how choreographers innovate elements that elevate the potential for audiences to see and think about some of the most iconic themes of science fiction in new ways. To wit, Ririe-Woodbury Dance Company will close its monumental 54th season with the premiere of Return, an evening-length dance composition choreographed by Daniel Charon, the company’s artistic director, which places the dancers in a new setting as galactic explorers. 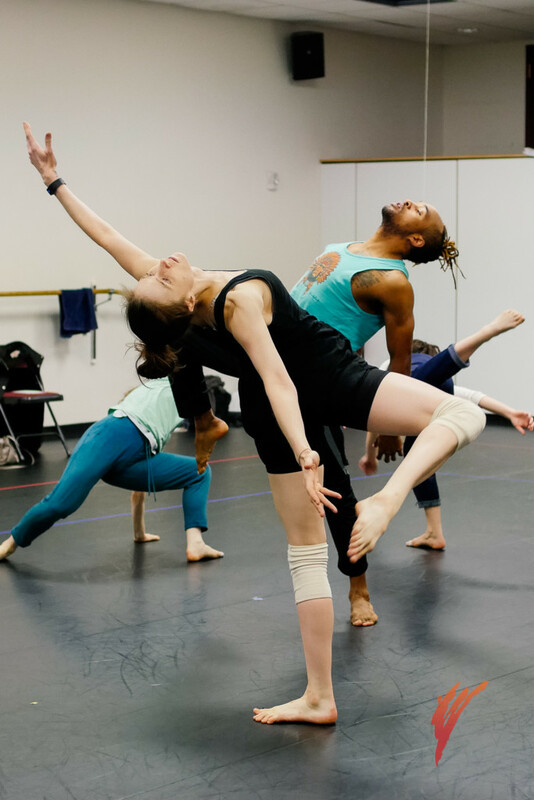 The premiere of Return will set a local milestone for a performing arts genre that historically has seen visionaries in dance break new ground in Utah over the last 100 years. The work completes the Together Alone dance trilogy in which Charon, a dedicated fan of science fiction, gaming and virtual reality, has translated scientific and technological concepts to dance movement. Thus, it is appropriate that he turns to science fiction in an extensive opus that uses dance to signify the sociocultural phenomenon of the virtual self in the age of social media; the challenges of overcoming loneliness and false sensations of narcissism and connection, and the possibilities for the individual to liberate oneself even when it is impossible to escape the inevitability of our technological infrastructure. Return’s production also puts the audience in a new setting for the performance. 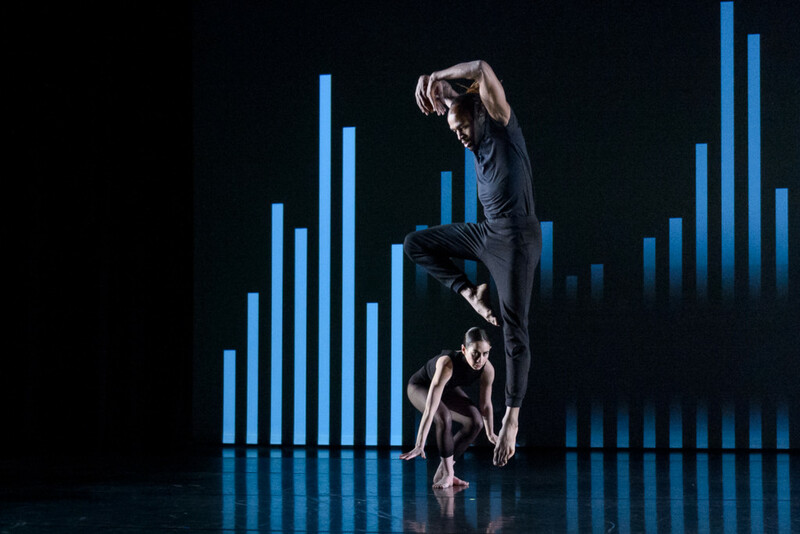 The work will be performed in the Regent Street Black Box at the Eccles Theater (April 26-28 at 7:30 p.m.), where dancers will move in a demarcated box of space to simulate their travels to an alien environment. The audience is seated on all four sides and the space separating the performers is nearly eliminated, with the exception of a relative small margin around the perimeter. Meanwhile, the whole space is immersed in the quadraphonic sound of the original score composed, recorded, remixed and mastered by members of the Salt Lake Electric Ensemble (SLEE) that puts the crucial finish on the science-fiction setting of the work. 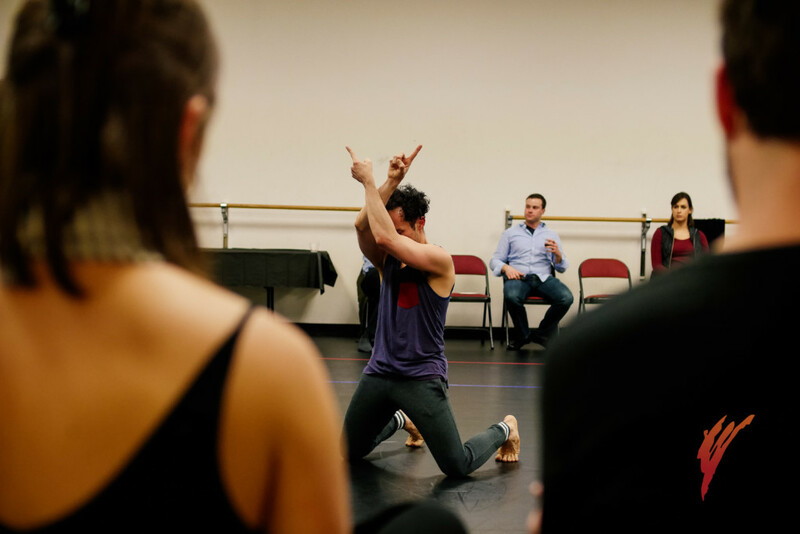 At a recent rehearsal of Return, as observed by The Utah Review, one could see how the dancers represent the challenges they might confront during their interstellar journey. Already, the movement language has been finessed enough to clarify the actions and events being portrayed. Amidst space’s unforgiving and uncompromising environment, they must contend with breakdowns, risks, warnings and malfunctions, where their capacity to control events is superseded by machines and advanced artificial intelligence. But, they also struggle with keeping their humanity intact, as the tensions and frustrations of the persistent fight to deal with chaos spill over into their interactions and relationships. Charon says of the recent science fiction he has read that has shaped how he conceived the thematic impetus for Return, two novels come to mind as compelling examples: Kim Stanley Robinson’s Aurora (Orbit, 2015) and Neal Stephenson’s Seveneves (2015, William Morrow and Company). Both books have been variously cited by critics as examples of how science fiction writers seamlessly blend in a strong grounding of science with the even more provocative elements of human nature while dealing with the long-term complexities of technology’s reliability, especially if we would be forced into alien environments and new homes because of our own planet’s crises. Enter, choreographed by Daniel Charon, Ririe-Woodbury Dance Company. In the first installment of the trilogy, Charon’s choreography replicated with convincing effect the scientific and technological concepts he had in mind, such as duets representing the binary code strings of 0s and 1s as well as the double helix of DNA. The second installment, titled Enter, focused on the tensions of making meaningful relationships in the digital age without necessarily disconnecting our digital selves. In Return, the music resonates with the work’s primordial vibe. And, Charon gave SLEE its first major commission to compose an original score for an evening-length work. Charon’s relationship with SLEE has blossomed in recent years. Charon already knew Wall and Daniel Clifton, SLEE members, when he worked previously in New York City. Three years ago, he asked SLEE to perform live its interpretation of Terry Riley’s In C for his choreographed composition 53 Rooms, which followed the 53 modules of the music which Riley composed in 1964. This latest collaboration comes on the heels of the much acclaimed release of SLEE’s recording of Philip Glass’ Music with Changing Parts, which was released earlier this year on Orange Mountain Music, the composer’s recording label. 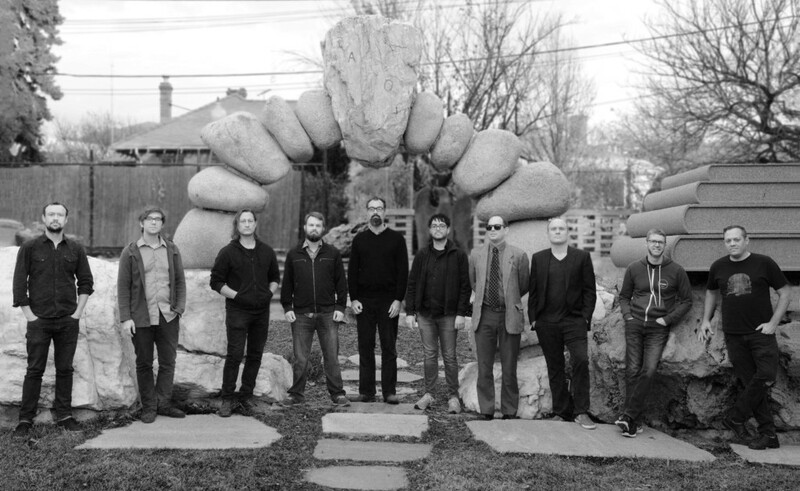 The score for Return reflects SLEE’s incredible versatility as an ensemble of laptops, augmented extensively with members’ skills on acoustic and electric instruments. The music also includes remixed samples of bits of texts, spoken by the dancers. In several instances, the dancers say the text in English and Spanish. As SLEE has progressed in maximizing the output effects of Ableton Live software, the members experiment more confidently in composing music, which demands even more intense concentration from the dancers as they are accompanied by a freestyle score that approaches key and meter in unconventional ways. The cues in the score also become a travel guide that the audience readily will match with the dance movement at key points in the composition. SLEE gave Charon generous amounts of musical material to work with – more than triple what would be needed in the work which runs at about 70 minutes – as he set the piece with the dancers, a process that began last year. “At the outset, he turned us loose to generate a wide variety of materials,” SLEE’s Matt Starling says. This point is seconded by Clifton and Wall, who add that Charon was wonderful to work with because of his open acceptance to their suggestions for musical cues. Nick Foster says the music incorporates all sorts of “weird meters” and different phrase lengths, something not all choreographers might accept on first consideration. But, Ririe-Woodbury’s current ensemble of dancers is so experienced with each other that they quickly solve the challenges of performing to a complex freestyle score of ambient and percussive sounds. The collaboration solved the problem for both musicians and dancers to not let conventions of beats per minute decree the movement form or composition’s story-telling potential. For Return, SLEE has delivered a score that imagines the territory worthy of any narrative of galactic exploration. In addition to the three evening performances, the Moving Parts family matinee series version of the concert will be offered April 28 at 1 p.m., also in the Regent Street Black Box Theatre. Family matinee tickets are less than one-third of regular ticket admission prices and there are family package options at an even more affordable rate. For more information, see the Ririe-Woodbury website. 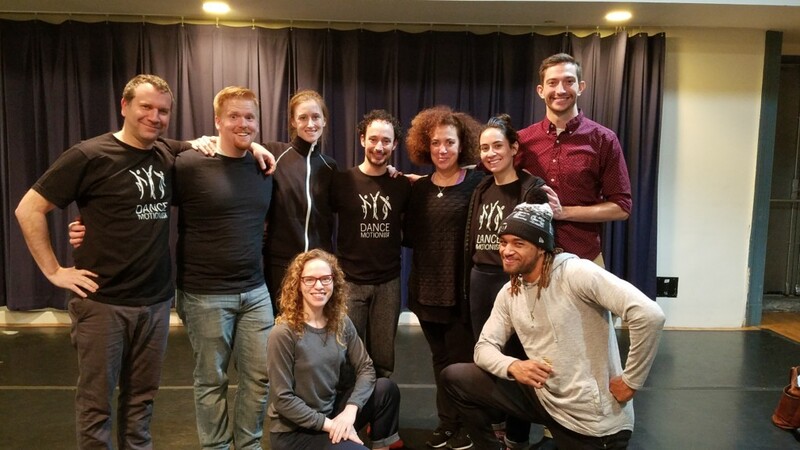 Just three days after Return’s performance run closes, the company will travel to Mongolia and South Korea, as part of DanceMotion USA℠’s cultural diplomacy program. The program is coordinated with the U.S. Department of State’s Bureau of Educational and Cultural Affairs and administered by The Brooklyn Academy of Music (BAM). Ririe-Woodbury was one of three American dance companies selected for the program, which is in its seventh year. 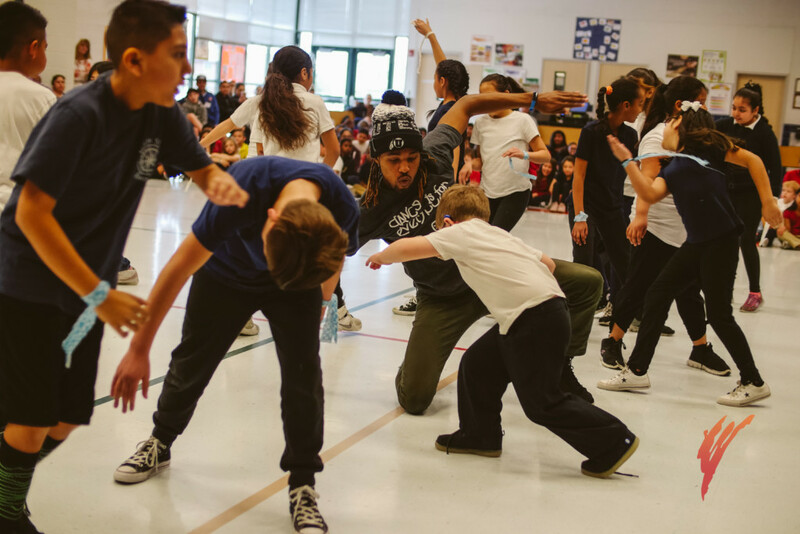 In his interview with The Utah Review, Charon says that he and the dancers look forward especially to engaging with children, women and others who are at risk or have been impacted by physical and developmental disabilities as well as those who have been affected by refugee crises. The group may also have a chance to reach out to families and children who have defected from North Korea. This is a remarkably beautiful, intelligent, informative, and inspiring article about Ririe-Woodbury Dance Company’s upcoming activities! What a writer. Of course I would love it. Thank you so much Les.